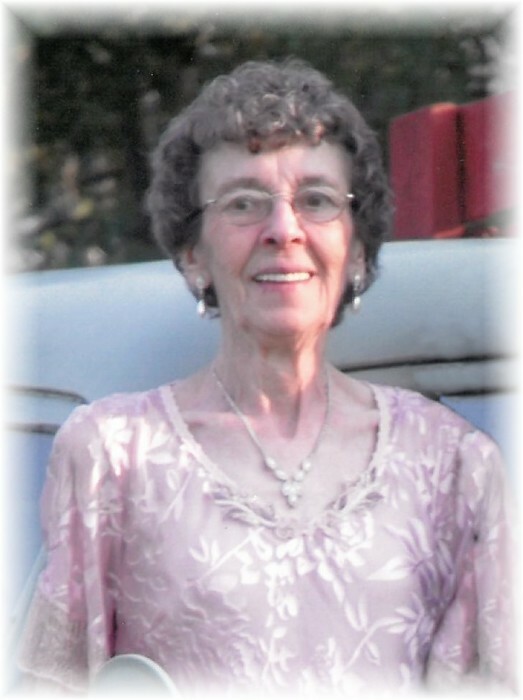 Obituary for Kay Darlene (Beals) Christensen | Swan Valley Funeral Services Ltd.
Kay Darlene Beals was born July 13, 1936, the youngest of ten children, to Martha and Walter. Kay was doted upon by her six older sisters and three older brothers. She grew up on a small farm by Bowsman, Manitoba. Kay met John at a baseball game when she was sixteen years old and dated until they married July 4, 1956. They had four children; Peter, Brent (Michelle), Kirby and Marla (Jason). Kay’s great love of family was most evident when she spent time with her grandchildren; Brendan (Alicia), Chad, Shyla (Randy), Tessa, Reid and Jemma and her great grandchildren; Hailey, Ellie, Skyler, Owen, Klark and Lexi. She was the happiest when everyone’s tummy was full of food and hugs and kisses were given. Kay was genuinely interested and loved hearing about every single detail of every person’s life in the huge Beals clan. She had a wonderful way about her that made everyone feel special and important. Kay loved music. She had the talent of playing by ear and could play anything on the organ and accordion. Kay and John were beautiful dancers and made sure all their kids could two-step, butterfly and do all the old-time dances. Kay also enjoyed gardening, having a true green thumb, and crafting such as pottery, ceramics, liquid embroidery and cross stitch. She also enjoyed bingo, card games (she was a bit of a cheater- you had to watch her closely) and talking on the phone with her sisters for hours on end. Kay was known for her mischievous sense of humour and if she had the opportunity to pull a prank on someone, she didn’t think twice about it. She was always up for some fun. Kay was an incredible woman who’s love was limitless, how very lucky we are to have been loved so much. Kay was predeceased by her parents Walter and Martha; and her infant son. As well as her siblings; May (Carl) Cook, Marjory (Ted) Graham, Helen (George) DeGroot, Alyce (Cliff) Mullin, Nadine (Gottard) Olson, Pauline (Gordon) Ferriss and Dale Beals. A funeral service was held on Friday, January 11, 2019 at 10:00 am from the Chapel of Swan Valley Funeral Services, with Rev. Kathy Highmoor officiating. Interment followed in the Birchwood Cemetery, Swan River, Manitoba. If friends so desire, donations in Kay’s memory may be made to: Association for Community Living, Box 1282, Swan River, Manitoba R0L 1Z0 or to the charity of one’s choice.